Grab some Ryme City apparel, a Detective Pikachu hat, and exclusive trading cards. The Pokémon Company announced plans to sell Detective Pikachu merchandise starting this coming April with the release of a Detective Pikachu trading card set and booster pack. There will reportedly be 26 cards included in the Detective Pikachu set which include Detective Pikachu himself, as well as variations of Pokémon based on their appearance in the live action film. An exclusive Detective Pikachu trading card set will release this April. If trading cards aren’t your thing, you’ll also be able to purchase accessories and apparel via the Pokemon Center online shop. Included among the Pokémon Center’s Detective Pikachu selection are some adorable Noctowl “Fresh Coffee” t-shirts and neon designs based around Ryme City staples like the Hi-Hat Cafe. We appreciate how all of the designs coordinate well with one another, which is emphasized in promo images like the one where three different patches are displayed together on a backpack. 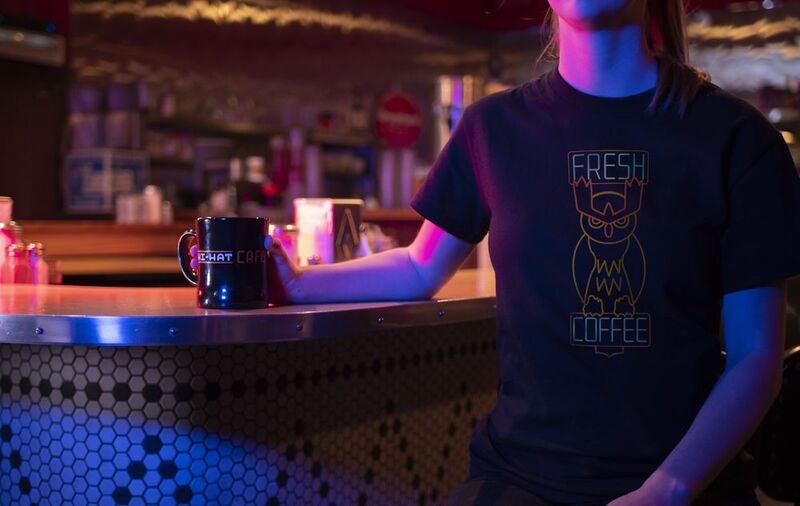 You can grab Detective Pikachu apparel including a Hi-Hat Cafe shirt and Noctowl "Fresh Coffee" mug. Overall, it’ll be easy for fans to mix and match Detective Pikachu apparel, like combining a Noctowl “Fresh Coffee” hat and Hi-Hat Cafe shirt. While we’re already itching to get our hands on a Noctowl “Fresh Coffee” mug, there’s one item worth mentioning that grabs attention more than most – a Detective Pikachu hat complete with a cute pair of stuffed ears. 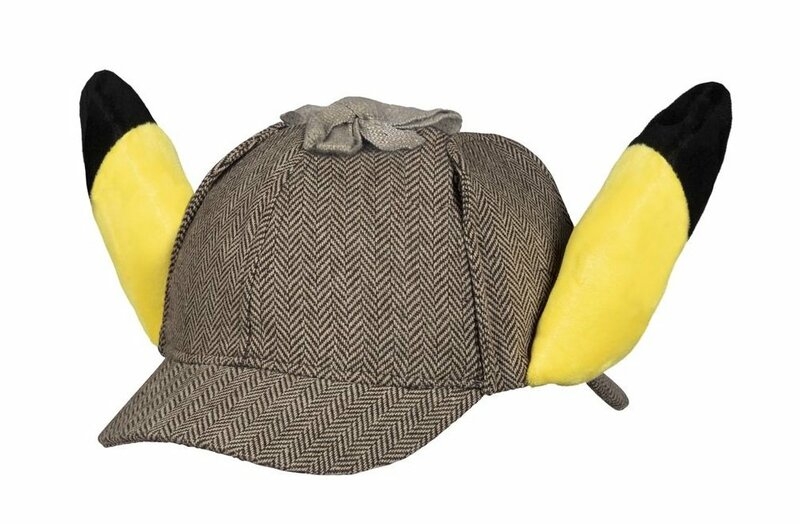 You can even purchase a Detective Pikachu hat complete with stuffed Pikachu ears. The hat is absolutely adorable and offers a nice cosplay vibe to help immerse you into the world of Detective Pikachu. Other items of note include a tin lunch box, action figures, and Lego figures. 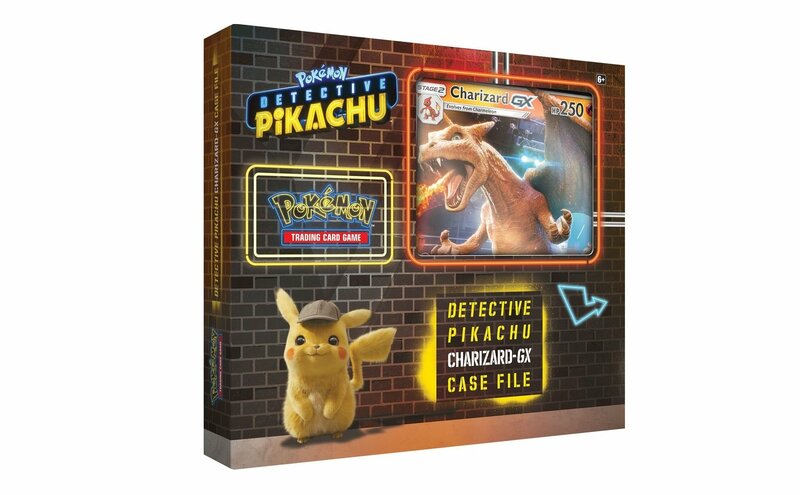 After reviewing some of the images, what do you think of the new Detective Pikachu merchandise? Are you thinking about purchasing a Hi-Hat Cafe shirt, or will you save your money for the Detective Pikachu ear hat? Let us know down in the comments below! The Detective Pikachu merchandise will be available this April, while the film is scheduled to hit theaters on May 10.